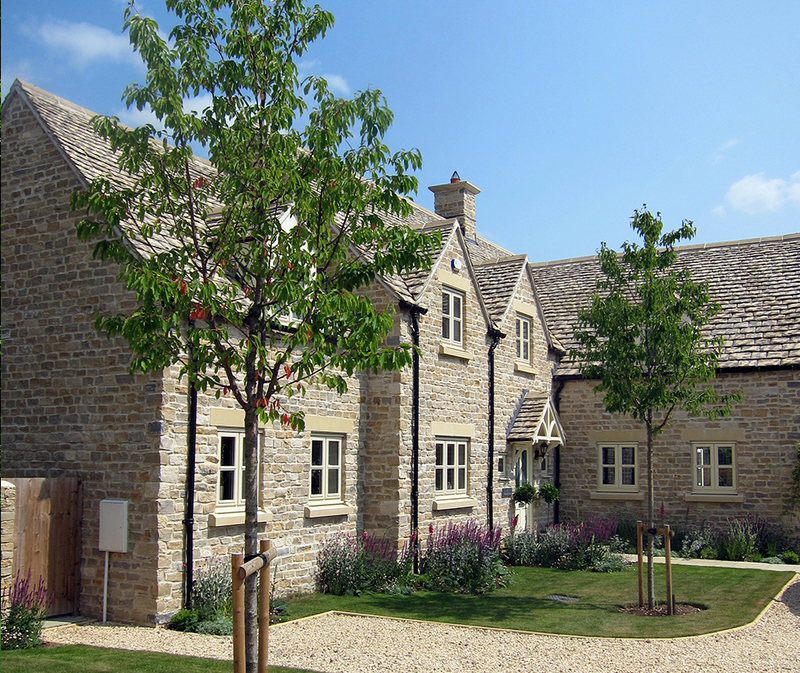 A rare opportunity in the sought after Cotswold village of Southrop: A new build with a blank canvass for a garden. 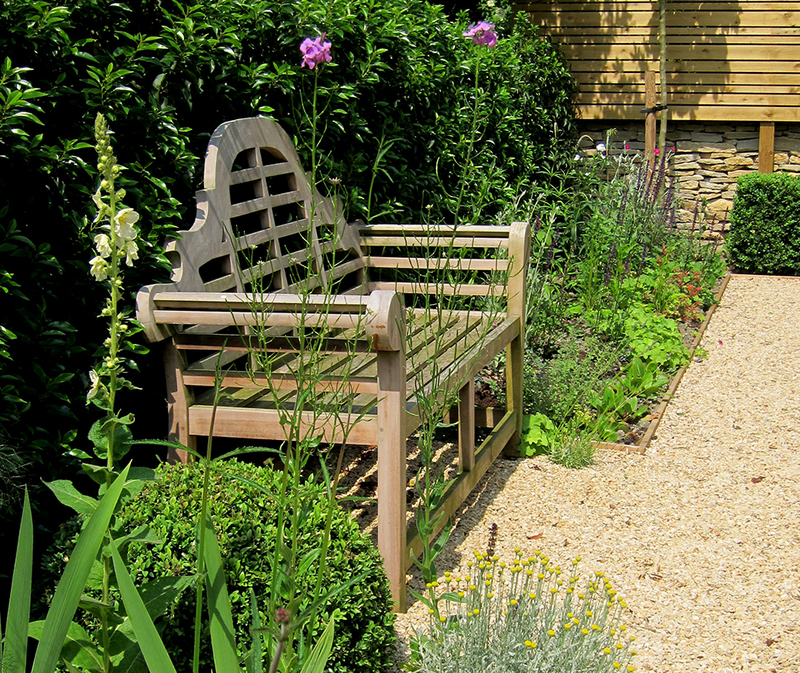 The brief was to give the client a garden in which to garden, and she was open to all my ideas, trusted my recommendations and was totally aware of budget. 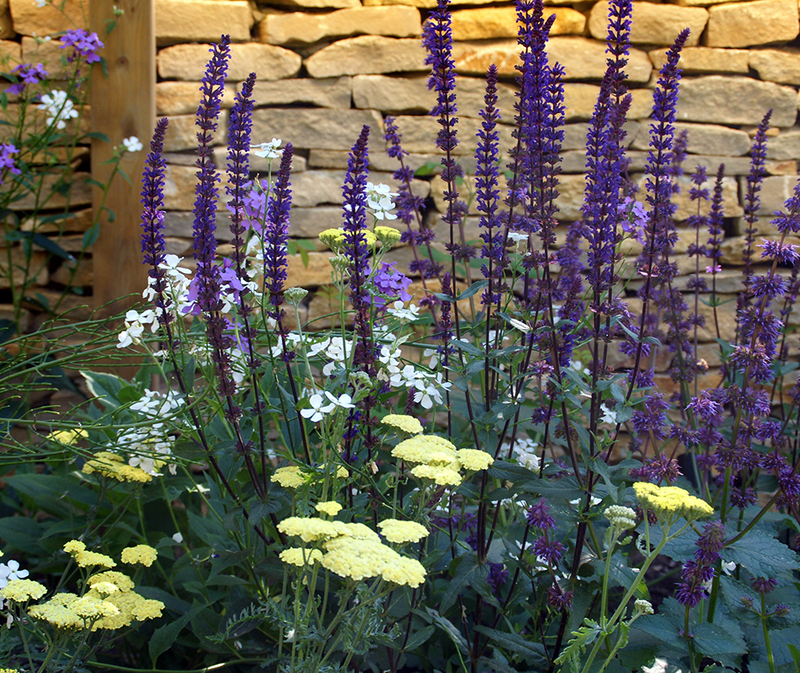 Initially we planted up the sun soaked front with pretty herbaceous plants: Lavenders, Lichnis, Eryngiums, Salvias, Verbena, Pennisetum and many more. Several mature trees planted in the lawns helped create an avenue feel to the driveway. The back garden is several gardens which gradually merge from one to the other. 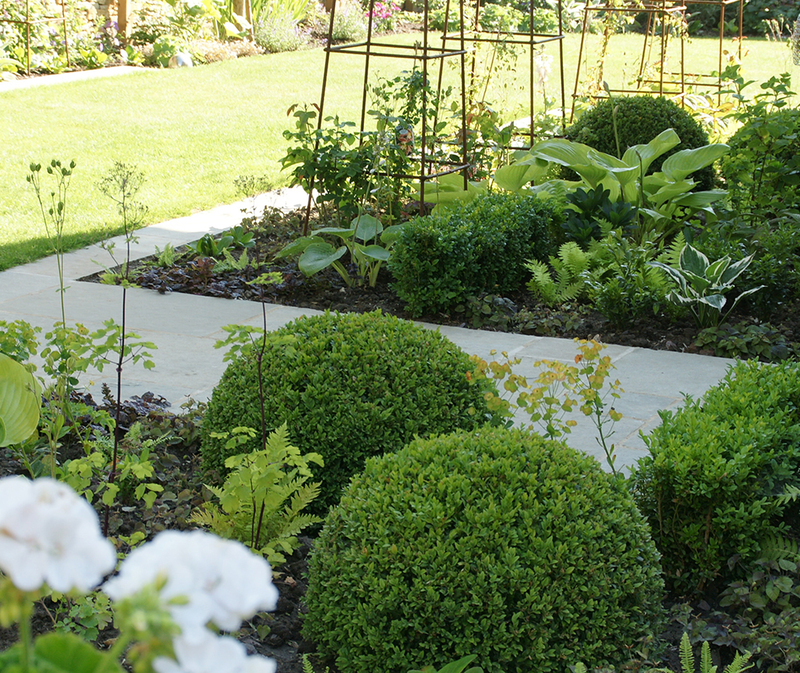 With the help of Paul Ridley, We gave the client the huge variety of plants she wanted: a gravel garden, a shady border, roses, roses and more roses, a quiet place for her Buddha and a herb garden.